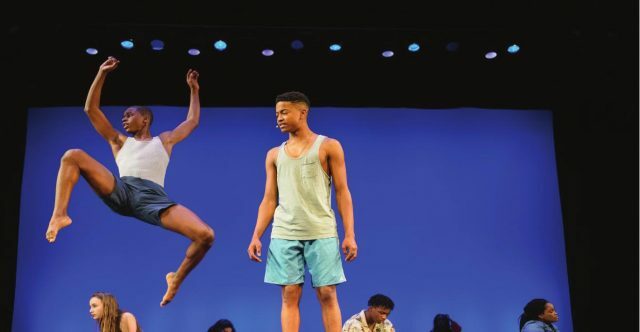 National YoungArts Foundation (Youn­gArts) announces tickets on sale for the YoungArts Miami 2019 public performances, alongside details of the organization’s regional programs in Miami, Los Angeles and New York impacting 710 young artists from across the country. YoungArts regional programs are modeled after Na­tional YoungArts Week, the organization’s signature program held annually in Miami. Representing the top 10 percent of applications, 710 artists across 10 disciplines in the visual, literary, design and per­forming arts participate in interdisciplinary master classes and professional development workshops, and present their work to the public through perfor­mances, exhibitions, film screenings and readings at world-class arts institutions in each city. This year, YoungArts winners—extraordinarily talented young artists ages 15–18 or grades 10–12— from 44 states will join master teachers such as Tony Award winner Brandon Victor Dixon (1999 YoungArts Winner in Theater), Obie Award-winning director Jay Scheib, percussionist Allison Miller (1992 YoungArts Winner in Jazz), choreographer and Headlong co-director David Brick, interdisciplinary artist Pedro Reyes, and more. YoungArts regional programs provide a platform for participants to connect, collaborate and learn from their peers. Open to winners from all award levels—Finalist, Honorable Mention and Merit—they take place in Miami, Los Angeles and New York in February, March and April, respectively. On Friday, February 22, the public is invited to the YoungArts campus for a film screening, jazz perfor­mance and writers’ readings directed by bestselling author Joan Morgan and composer-arranger-saxo­phonist Jonathan Ragonese (2008 YoungArts Winner in Jazz), and the opening of the design, photography and visual arts exhibition curated by Maritza Lacayo, curatorial assistant and publications manager at Pérez Art Museum Miami (PAMM). At Miami Theater Center, experience YoungArts’ celebrated dance, theater and voice performance on Saturday, February 23, directed by acclaimed actress Zuzanna Szad­kowski (1997 YoungArts Winner in Theater & U.S. Presidential Scholar in the Arts), known for her roles on Gossip Girls, The Knick and, most recently, Uncle Romeo Vanya Juliet. On Sunday, February 24, winners in Classical Music will perform in a concert directed by composer Cynthia Lee Wong (2000 YoungArts Winner in Classical Music and Writing). Throughout the week, YoungArts Miami par­ticipants, hailing from the southeast region of the country, will also have the opportunity to learn from visual artists Loni Johnson and Robert Chambers, architect and 2019 Jorge M. Pérez Award recipient Chat Travieso (2003 YoungArts Winner in Visual Arts & U.S. Presidential Scholar in the Arts), cinematogra­pher Rick Delgado (1992 YoungArts Winner in Visual Arts), and many others. The exhibition at the Youn­gArts Gallery will remain on view through April 28. Presented in partnership with the Center for the Art of Performance at UCLA, this year’s Los Angeles public events will include a classical music concert and film screenings on Friday, March 29, directed by pianist Inna Falkis (1996 YoungArts Winner in Classical Music) and a multidisciplinary performance directed by choreographer and director Ana Maria Alvarez on Saturday, March 30, as well as a jazz performance and writers’ readings on Sunday, March 31, directed by Dr. Ron McCurdy and Joan Morgan. On Thursday, March 27, a design, photography and visual arts exhibition will open and remain on view until April 14 at Building Bridges Art Exchange. YoungArts Los Angeles presents the opportunity for winners from the west and central regions of the U.S. to learn from dozens of master teachers, includ­ing Academy Award-winning cinematographer Doug Blush (1984 YoungArts Winner in Cinematic Arts), visual artist Mariah Garnett and Lucie Foundation Executive Director Cat Jimenez. On the heels of the YoungArts New York Gala slated for Tuesday, April 16 at The Metropolitan Museum of Art, the regional program in New York City will kick off in partnership with Baryshnikov Arts Center (BAC). On Saturday, April 27, a dance, jazz, theater and voice performance directed by Jeanine Tesori will be presented at BAC’s Jerome Robbins Theater, followed by a classical music concert and writers’ readings directed by Dave Eggar (1987 YoungArts Winner in Classical Music & U.S. Presidential Scholar in the Arts) and Joan Morgan. An exhibition opening reception will feature works by winners in Design Arts, Photography and Visual Arts; details to follow. Throughout the week, YoungArts New York participants, hailing from the northeast region of the country, will have the opportunity to learn from Joan Mitchell Fellow and visual artist Yashua Klos, jazz musician Emmet Cohen (2009 YoungArts Winner in Jazz), photographer Lydia Bittner-Baird and screen­writer Shari Carpenter. More information is available at: youngarts.org/regional-programs.